from Bentley to Hummer, who’s the man of mechanics? One afternoon of those days i discovered before-mentioned “大人の科学” gizmo, i had a glimpse of that exquisite vehicle — BMW’s Z4 Roadster right in the entrance of a parking lot somewhere. It was fabulous of that flamenco red metallic color, and so was the streamlined model. Last weekend, i watched the famous Japanese producer 宮崎駿‘s animation “紅の豚” in DVD, which showed mechanics-mania of men. After that i became very enthusiastic about machinery. Well, does every man have a born mechanic faith as considered? Essentially, i do very like most of those gizmos mentioned in Popular Science or T3 magazines. But i reckon that sort of prevailing devices, such as Nokia 8800, Motorola RAZR V3x, Apple iPod, are just appetizer. The ultimate vehicle of a man is the automobile on the land. 007’s Aston Martin, Michael Schumacher’s Ferrari, royal noble’s marvelous Rolls-Royce…. Back to the beginning. In the deluxe sedan times, Mercedes-Benz could be the chief for the chief. Of the top class, Bentley is always the supplier for royal families. After all, they’re sort of sissy somehow. 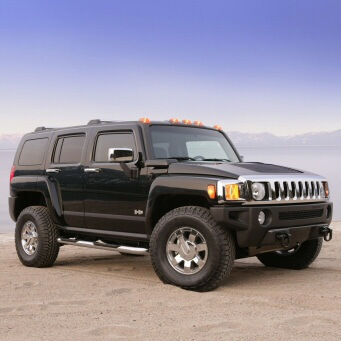 The manly MAN in my mind is the Sport Utility Vehicle, especially distinctive Hummer. Rugged enough to take on the tough off-road trails, smooth highway ride, stable handling, quality interior with simple controls, comfortable seats….Fantastic! eeeeen, da ya know how much gasoline resources a fantastic Hummer SUV will take? 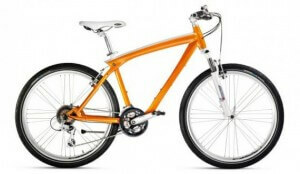 i wanna buy a BMW’s bicycle, and be a MAN.